The news coverage of President Obama’s recent trip to Carlsbad Caverns made note of the positive economic impact that protected public lands have on our communities―particularly the recently established Organ Mountains–Desert Peaks Monument near Las Cruces and the Rio Grande del Norte Monument near Taos. The economic benefits of these monuments are very real as they boost tourism. These two monuments were made possible under the Antiquities Act, which gives the executive branch authority to make these designations. As we celebrate the 100th anniversary of the National Park Service, we should reflect on an important way the Antiquities Act is being used to protect the lands we all love and enjoy. Besides being a champion of conservation, President Obama has used the Antiquities Act to celebrate important American stories and preserve their birthplaces for future generations. Stories and places such as the Harriet Tubman Underground Railroad, Cesar E. Chavez’s home in California, the Belmont–Paul home in Washington, D.C., celebrating the fight for women’s equality, and the Honouliuli Monument, telling the story of Japanese-American internment during World War II. By preserving the epicenters where critical turning points in our nation’s history were made—many of them driven by the need to right societal wrongs―we are commemorating the tapestry that is America and telling the story of the richness and diversity of our country. This use of the Antiquities Act has been crucial to creating greater understanding among all Americans. As a society, we cannot ensure the well-being of all children unless we show them that, whatever their racial or ethnic heritage, they matter. Having national monuments that reflect America’s cultural and historic diversity is one powerful way to do this. It shows our children that they belong in this American story and that they can all make a positive difference in their communities. This is why President Obama’s designation on June 24 of the new Stonewall Monument to LGBT rights―even though it’s located 2,000 miles away in New York City―is so important here in New Mexico. LGBT youth and teens often hear negative messages about themselves and are bullied and marginalized just because of who they are. Now, those New Mexico youth can see that the country values and celebrates the history of the LGBT struggle for equality. This is an important symbol for LGBT youth and adults everywhere. Somewhere―perhaps here in New Mexico―LGBT youth who have lived in fear now know their country recognizes the importance of the struggle for their civil rights. The same goes for all the migrant farm-workers whose country celebrates Cesar E. Chavez and the descendants of hardworking African-American train porters who now have the legacy of the Pullman National Monument in Chicago. President Obama’s conservation approach has been about so much more than the land. It has also been about the people who have dwelt on those lands and etched their names into it. Perhaps there is no better example than New Mexico’s own Organ Mountains–Desert Peaks National Monument (OMDP). Designated in 2014, OMDP has the natural splendor of jagged desert peaks, the petroglyphs of ancient Native Americans, a piece of the Spanish Camino Real, and a stop on the old Butterfield Stage route. OMDP celebrates so many phases of New Mexico’s history and shows the nation just how unique and special our state and its people are. We are grateful President Obama has introduced this new and inclusive vision for public lands protection and are hopeful that he uses his last months in office to further cement this legacy by protecting the Bears Ears region in Utah, a place sacred to Native Americans throughout the southwest, including here in New Mexico. As advocates working to lift up our children, we know the monuments President Obama has designated go a long way toward helping us all tell our youth that they count and are important to our country and its history. Veronica C. García, Ed.D. 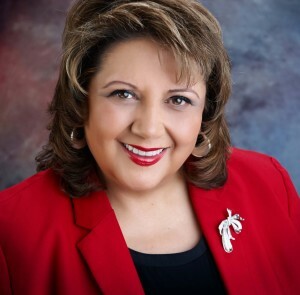 is the executive director at New Mexico Voices for Children.